Jean-François Partiot is a partner at Accuracy. Since 2003, Jean-François has cumulated in-depth experience and expertise in economic modelling and strategy consulting. Prior to Accuracy, he worked in a strategy consulting advisory firm. He regularly assists large corporate boards in their business analyses and strategic decision making. He is used to managing teams to conduct corporate strategies, business strategies and assess the financial impact of such strategies. 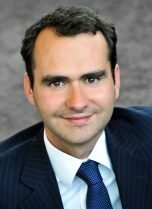 Jean-François works for private equity investors on their commercial due-diligences or for asset managers on specific investment decisions or portfolio allocation issues. He also conducts economic analyses on some major litigation cases. Jean-François speaks French, English and German. Jean-François works frequently on complex projects combining finance and strategy such as business modelling and business plan construction, synergies assessment or value creation assessment. He has also developed his skills as an economic expert on several complex litigation cases including in post M&A disputes, allegations of state aid and in commercial / tax disputes. Jean-François’ experience covers a very broad scope of activities which include e-commerce, media & digital, retail, agribusiness, wine & spirits as well as oil & gas, niche manufacturing or BtoB business models.